How to get SBI net banking user ID? 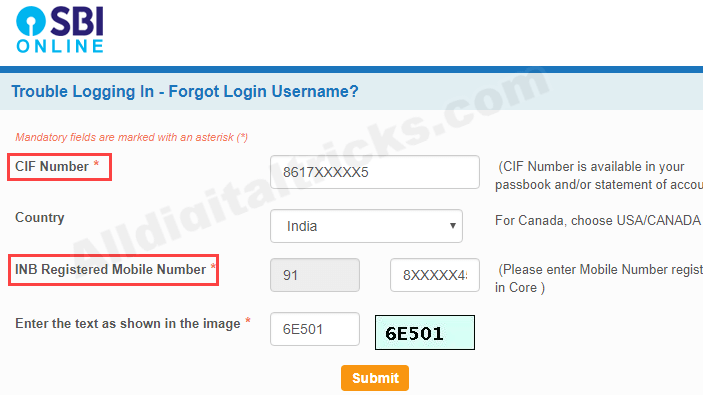 How to find SBI Internet Banking Username when you forgot? If you forgot your SBI net banking user ID then do not worry, you can recover it by following just simple online steps. To access SBI net banking service you need to enter Username and login password to login your account. SBI net banking username can be changed only one time during login first time on Internet banking after the online registration process. 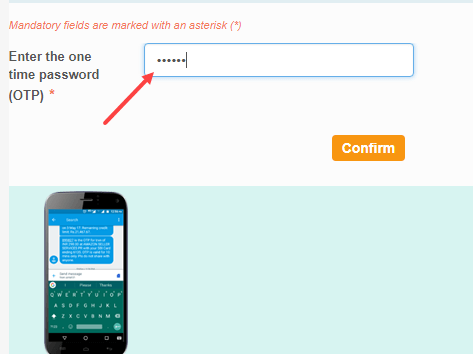 If you forgot your Username then it is not possible to create a new User ID, but you can receive your UserID on your phone via SMS. 1# Visit SBI Internet Banking login page and click on Forgot Username link as you can see below screenshot. 3# Next screen you need to enter One Time Password (OTP) received on your registered mobile number. Enter OTP and submit it. Done! you can see your Username on next screen. You will also receive an SMS on your registered mobile number containing your Username. Please note, if you unable to find your CIF number on your passbook then install SBI buddy merchant mobile application. You can view your CIF number when you register on this application using ATM card. 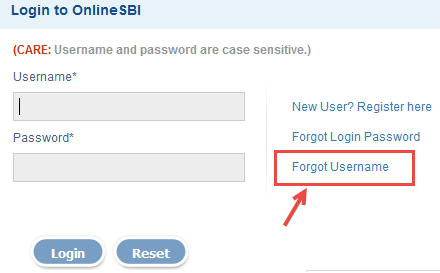 So this is how SBI customers can get back their net banking UserID (username) when forgot it. I forgot my username how can I recover it? ?